I'm super excited to know that the story made it to the front page. Check out the story and more photos in the link below. 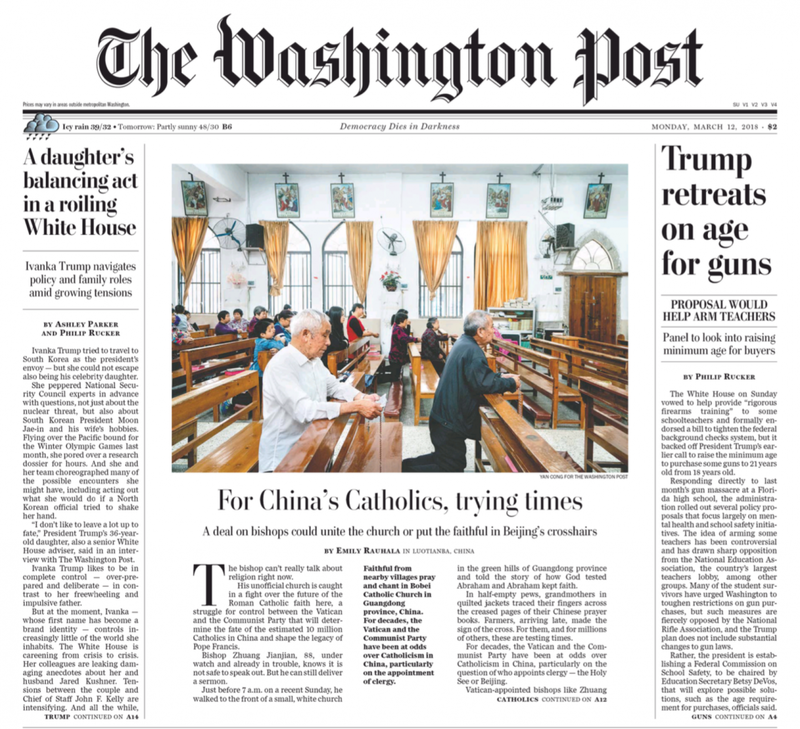 Would compromise unite the Church, or put the faithful in Beijing’s crosshairs?